REDMOND, Ore. — Construction began on a new 3,200 square-foot convent for St. Francis Church. 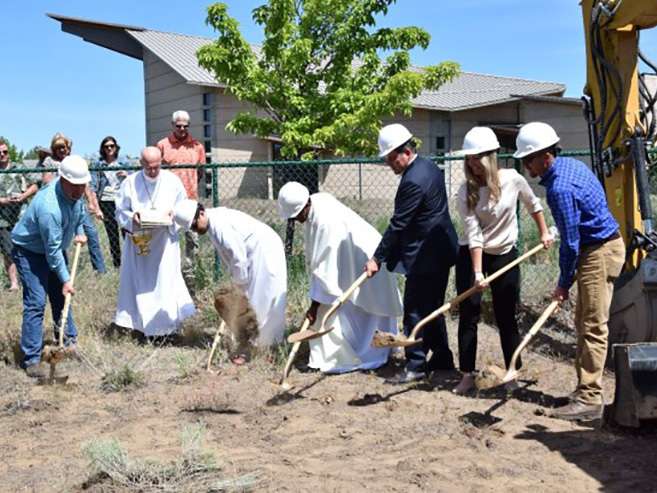 Hayden Homes, the Parish community and numerous partners have come together to build this new convent, the first in Central Oregon in 58 years. The new convent will be the residence of the Salesian Sisters of St. John Bosco who will be arriving from Texas to teach at St. Francis of Assisi Catholic School beginning in the fall of 2018. The new convent will feature 6 bedrooms, four bathrooms, a Chapel, two laundry rooms, kitchen, dining and living areas. Construction of the new convent began with a groundbreaking and blessing attended by Fr. Jose Thomas Mudakodiyil and Fr. Victor Meña as well as the Building Committee members: Dennis Murphy of Hayden Homes, Dan McLean of Tri-County Paving, Crystal Mooney, St. Francis School Principal and Kevin Link of SunWest Builders. The convent is scheduled for completion in August.